At the Angelus, Pope Francis recalls the terrorist attack in Bogota and the drowning of 170 migrants off Libya and the Alboran Sea. "We speak to the Mother so that She speaks to her Son. And Jesus will surprise us ". In the next days the pontiff will be in Panama, for the 22nd WYD from 22nd to 27th. The new "Click to Pray" app of the Apostolate of Prayer. Greetings for the Italian Friends of Raoul Follereau Association and the Hansenians. 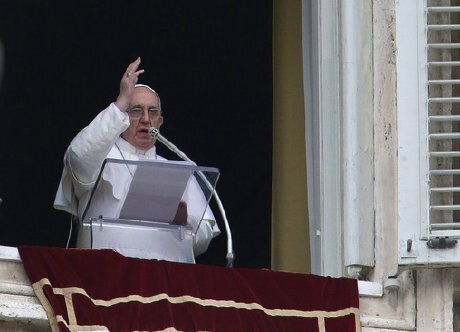 Vatican City (AsiaNews) - "Today I have two pains in my heart: Colombia and the Mediterranean": Pope Francis began after today's Angelus with pilgrims in St. Peter's Square, recalling the attack on December 17 in Bogotá , in the national police school, where 21 people died and over 68 were injured. Added to it were the tragedies that took place in the Mediterranean Sea yesterday and a few days ago, where 117 and 53 migrants from Libya and the Western Mediterranean were shipwrecked respectively. The first occurred off the Libyan coast; only three people admitted to the island of Lampedusa were saved. The second shipwreck occurred in the Alboran Sea, where only one survivor who is recovered in Morocco. 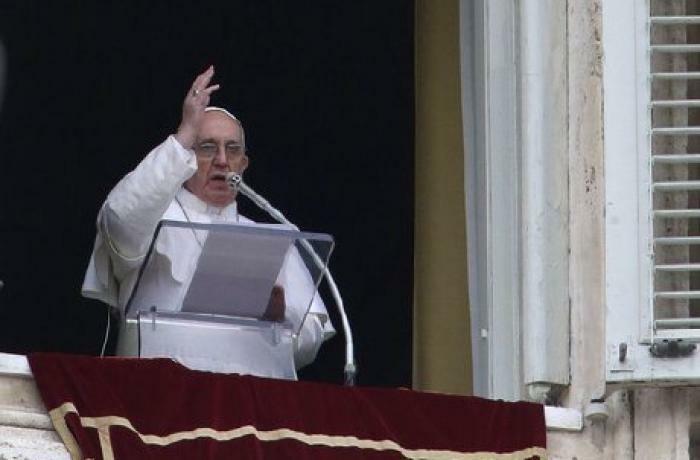 Speaking of the attack in Colombia, and assuring his "closeness to the Colombian people", the pope said: "I pray for the victims and their families, and I continue to pray for the path of peace in Colombia". Recalling the 170 victims of the two shipwrecks, Francis commented: "They were looking for a future for their lives. Perhaps victims of human traffickers. We pray for them, for those who have responsibility for what happened ". And after a short silence, he recited a Hail Mary together with the pilgrims. Previously the pontiff had paused to comment on the Gospel of today's Mass, which recounts the Miracle of Cana, the water that is changed into wine by Jesus, after Mary realizes that at the wedding banquet "they have no more wine" . The Pope dwelled on the figure of Mary. "I would like to emphasize an experience that so many of us have had. When we are in difficult situations, with problems we do not know how to solve, when we lack joy ... We have to go to Our Lady and say: The wine is finished, we have no more wine. And She will go to Jesus to say: Look at this, look at this: they have no wine. And then she will come back to us saying: Whatever he tells you, do it .... We speak to the Mother so that She speaks to the Son. And Jesus will surprise us ". "May the Holy Virgin - he concluded - help us to follow his invitation:" Whatever he tells you, do it ", so that we can fully open ourselves to Jesus, recognizing in everyday life the signs of his vivifying presence". After the Marian prayer, and appeals for Colombia and the drowned migrants in the Mediterranean, Pope Francis recalled that in a few days he will leave for Panama, where World Youth Day will take place from 22 to 27 January. Often interrupted by the shouts of young people - also Panamanians - present in the crowd of pilgrims, he said: "I ask you to pray for this very beautiful and important event in the journey of the Church". He also announced that this week the Message for the World Day of Social Communications will be published , "which this year contains a reflection on the communities of the network and the human community", on the internet and social media as "a resource of our time" ". At this point, at his side, he introduced the Jesuit priest Frederic Fornos, of the Apostolate of Prayer, to present the official platform of the Pope's World Prayer Network, linked to an app called "Click To Pray". "Here - said the Pope, pointing to a point on a tablet - I will insert the intentions and requests for prayer for the Church's mission. I especially invite you young people to download the Click To Pray app, continuing to pray with me the Rosary for Peace, especially during the World Youth Day in Panama ". Finally, he made two calls for the International Day of Education, marked by the UN for January 24, and for the Italian Friends of Raoul Follereau Association, in favor of those suffering Hansens disease, addressing "a special greeting ... to people suffering from leprosy, as well as those close to them on the path of human and social care and redemption". Pope on climate change, "Man is stupid, stubborn, someone who does not see"
Pope: At Cana, Jesus is neither “judge” nor “commander” but "saviour of humanity"